A well-made twin-stick shooter that focuses on precision shooting over random spraying. There was a moment, about an hour into my time playing Scintillatron 4096, where everything just clicked and I moved around the screen in a zen-like state, shooting coloured sub-atoms and finally achieving a high score that I wasn’t able to top for several more hours. It was then that I realised what a well-crafted game it was and what a lot of fun I was having, definitely earning it a permanent place in my Vita’s memory card for years to come. The basic gameplay here will be instantly familiar to anyone who has played a twin-stick shooter in the last 15 years. You pilot a little ship around a 2D playing field populated by coloured enemies (in this case, sub atoms) and use the second analogue stick to aim and shoot at them. There are various randomly-generated power-ups you can pick up along the way, high-score chasing is encouraged, and you have limited lives until it’s game over – all standard stuff. Yet within the first few minutes Scintillatron sets itself apart by the manner in which it expects you to play. Of course you can simply blast away at anything that moves, but that will award you a limited amount of points and a muted sense of satisfaction. Instead, you’re encouraged to get combos going based on the colour of enemies (pick off all the pink ones first, before going for the yellows, to rack up massive combos and light up the leaderboard). This small detail somewhat transforms the experience – suddenly it’s more of an intricate strategic puzzler where you have to wait for the coloured atom you want to come out of the group, rather than just a more simplistic blaster. That’s not to say you can just meditatively take your time though – an in-level timer counts down and assaults you with erratically moving red blobs of death upon expiry, meaning you do need to have some sense of urgency to your actions. Playing recklessly is still viable, though. In fact the power-ups encourage this, with the ability to shoot in a cone or through a line of enemies, and they regularly pop up for your consideration. Equally, things like a time freeze or the ability to swap the colour of your combo mean you can carefully pick off foes and keep your score going, allowing you to adapt your strategy on the fly to what’s available around you. Various end-of-level point bonuses are awarded for completing certain actions. For example, one will reward you for never missing a shot, another for hitting multiple foes at once, and so on, meaning you're never penalised for choosing one style over another. Things progress as you play through the series of zones on offer here; the sub-atoms go from slow moving ‘zombies’ to snakes that move around every bit of the screen, or homing enemies which fire back. It means that later on your reflexes are going to be tested just as much as your decision-making, as you weave through mines trying not to set them off while heading to the next target. It’s incredibly satisfying when you pull this off and get to the next area, but don't expect that to be an easy task. Scintillatron is undoubtedly pretty challenging. It’s got a retro difficulty that’s easy to pick up but very difficult to master. You'll slowly get better and reach new areas, but the real driving force is to keep chasing higher scores for the leaderboards, and unfortunately that's where my biggest criticism with the game comes in - because that’s all there is to it. While I was definitely hooked into making slow progress with my score, other Vita contemporaries like Geometry Wars and Super Stardust offer a variety of other modes to help break up the grind, which I definitely feel could have helped out here. In terms of presentation, the title embraces its retro roots – graphics are simplistic but colourful and futuristic (similar to what Llamasoft achieved in TxK, particularly in the way numbers and words pop up during transitions) and the soundtrack is a mix of catchy electronic tunes which I really enjoyed, especially the ‘speed up’ music. Even the announcer’s voice feels like it’s straight out of an early 90s arcade game, all adding to this level of authenticity which I loved. I also appreciate how Scintillatron runs pretty well on Vita (no noticeable slowdown in particular), but even more impressive are the handful of little touches that make the experience feel like it's been crafted with love. For example, if you put the Vita into sleep mode it will automatically pause the game, then when you resume you get a little count-in to ensure there are no frustrating deaths. Things like this make it a perfect pick-up-and-play title; one that you can play for a bit then drop whenever you feel like it. Overall then, there's a lovely title here. It's a smartly crafted twin-stick shooter that lets you play how you like, but really rewards careful, methodical play. It boasts a steep challenge and undoubtedly this is a game that I'm going to be returning to lots in the future to chase high scores, but with just with a little more variety in its game modes it could have been something that stood tall alongside the genre's greats. 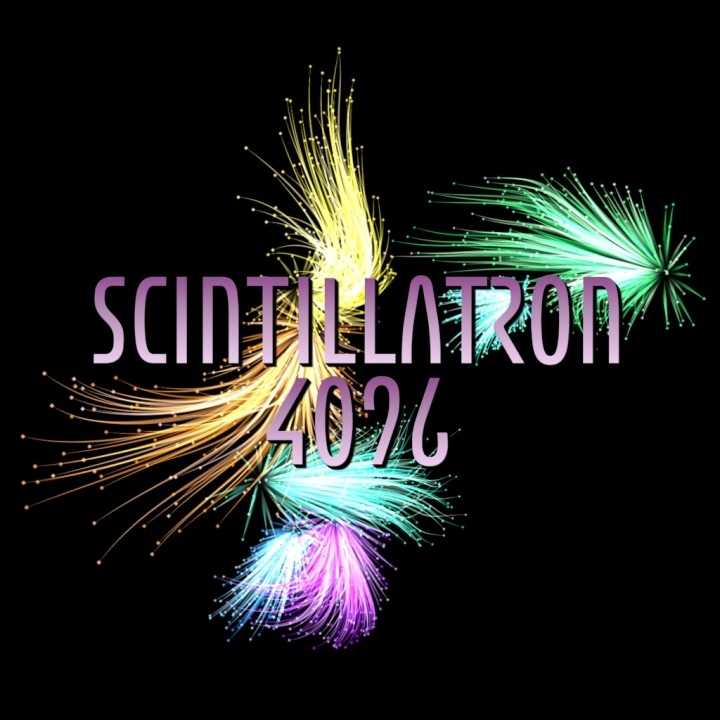 This review is based on a digital copy of Scintrillatron 4096 for the PSV, provided by the publisher.